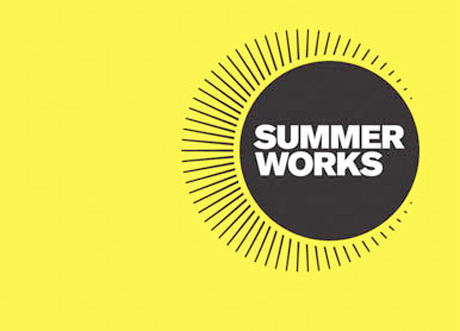 The 22nd SummerWorks Theatre Festival begins its eleven-day-long run today in Toronto. "As the largest juried theatre festival in Canada featuring predominantly New Canadian plays, SummerWorks programs a festival that uniquely reflects Toronto and Canada’s cultural zeitgeist. Since 1991, SummerWorks has continued to explore and respond to the needs and wants of audiences and the theatre community. "The festival has grown to become of the country’s preeminent multi-disciplinary hubs featuring a Music Series, a mentorship program (SummerWorks Leadership Intensive Program –S.L.I.P. ); and the National Series, showcasing works from across Canada. The festival adds new initiatives yearly, including performance-based programs such as the Performance Bar." New plays include works by Daniel MacIvor, Anton Piatigorsky, Sean Dixon, Waawaate Fobister, Richard Sanger, Rosa Laborde, Nicholas Billon, Erin Brandenburg, Ron Jenkins, Anthony Black, and The Scandelles. Directors include Richard Greenblatt, Tara Beagan, Brendan Healey, Sarah Stanley, Edward Roy, Natasha Mytnowych, Ron Jenkins, and Alistair Newton. The 2012 SummerWorks Festival runs August 9th to 19th in venues across Toronto.